Can My Spouse Cancel My Tricare Benefits if We are Going Through a Divorce? Many military benefits are based on the status of the service member and your relationship to him, including military health insurance, called Tricare. Since a divorce changes your relationship to the military member, your access to benefits changes, and you are no longer eligible for most benefits after your divorce is final. However, your spouse generally cannot terminate your eligibility for benefits while you are still married. Tricare is the federal program that provides health insurance to military members and their families. Eligibility for Tricare is governed by federal law, and the military member has little control over whether his family members have Tricare benefits. If you are listed as a dependent of your spouse in the Defense Enrollment Eligibility System, you are eligible for Tricare coverage. 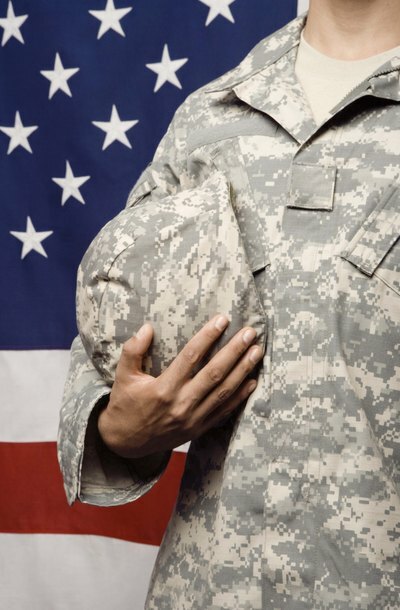 Tricare is generally free for active duty military members and their families, so active duty members are required to enroll in a Tricare program. Until your divorce is final, you are still considered married for purposes of military benefits, including Tricare. Your spouse does not control your eligibility and cannot disenroll you from the program, but he can switch Tricare programs – Tricare Prime or Tricare Standard. Tricare Prime is generally the preferred option if it is available in your area since it does not require copays. Tricare Standard allows you to more easily see out-of-network providers but requires a copay. After your divorce is final, your spouse can disenroll you from DEERS, which will terminate your Tricare eligibility. You may qualify to continue your Tricare coverage if you were married to your military spouse for at least 20 years, and at least 20 of those years were during your spouse’s military service. You may qualify for one year of Tricare coverage if you were married to your military spouse for at least 20 years, and at least 15 of those years were during his service. If you are not eligible under either of these exceptions, your coverage terminates at 12:01 a.m. on the day your divorce is final. Even if you lose your Tricare eligibility because of your divorce, your children will still be eligible if they are listed as dependents of your military spouse. If a child is not listed in DEERS as the dependent of the military member – perhaps because the child is the military member’s stepchild and not the biological or adopted child – that child will not be eligible. If a child is eligible, he will remain eligible for Tricare until he turns 21, or 23 if enrolled in college.